In honor of the 25th anniversary of the iconic film The Bodyguard, Legacy Recordings, Warner Bros. Home Entertainment and Fontainebleau Miami Beach are respectively celebrating its legacy with the release of a brand new collection of Whitney Houston live and studio recordings, special features and special events & activations at the hotel. 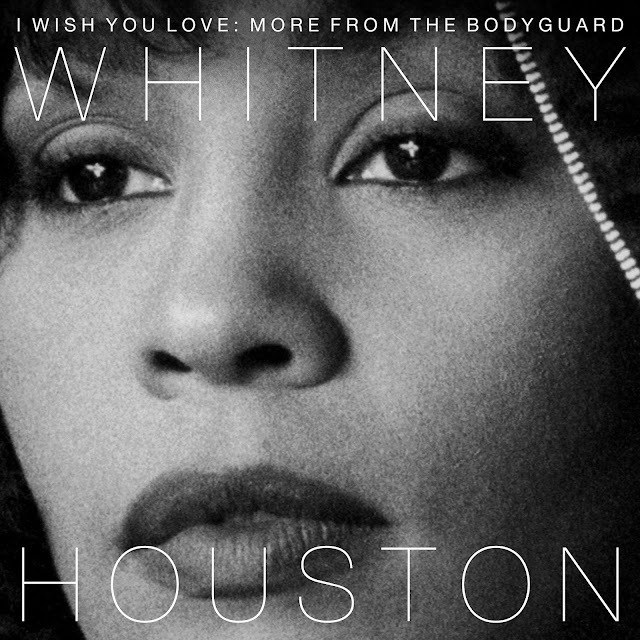 Legacy Recordings (in cooperation with The Estate of Whitney E. Houston) is celebrating the 25th anniversary of The Bodyguard: Original Soundtrack Album with the release of Whitney Houston - I Wish You Love: More From The Bodyguard on November 17, 2017. An essential new Whitney Houston collection bringing together a variety of live and studio recordings--many previously unreleased or unavailable--chronicling the artist's peak achievements. An alternate version of a remix of "I'm Every Woman"
The CD and digital configuration are available for pre-order here. Also included are film and live versions of "I Will Always Love You," "I Have Nothing," "Queen of The Night" and more. For the complete track list check here. Originally released on November 17, 1992, The Bodyguard: Original Soundtrack Album--co-executive produced by Whitney Houston and Clive Davis--was the first album verified by SoundScan to sell more than one million copies in a single week, won the Grammy Award for Album of the Year, has sold more than 45 million copies worldwide (and is certified 17x Platinum in the US by the RIAA) and is the top-selling soundtrack album of all-time. "The Bodyguard" marked Whitney's debut as a movie star while the soundtrack--driven in part by Whitney's monumental interpretation of "I Will Always Love You"--became of one of the best-selling albums of any genre in history. 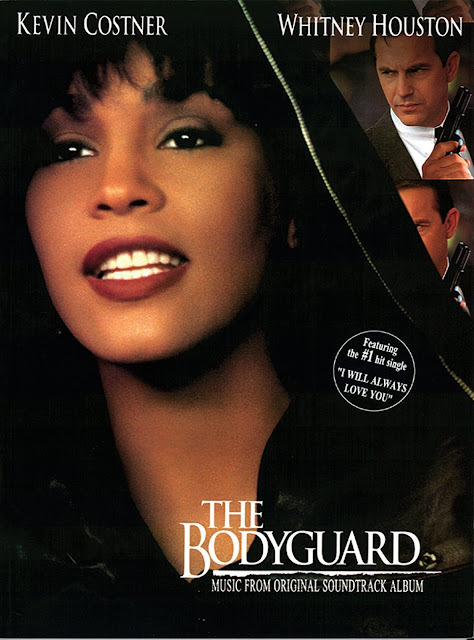 Warner Bros. Home Entertainment is celebrating the 25th anniversary of The Bodyguard with the addition of previously released special features for select digital retailers on 10/31. The film marked the acting debut of multi-Grammy award winning singer/actress Whitney Houston (The Preacher's Wife, Waiting to Exhale, Cinderella) Whitney Houston and also stars Academy Award winner Kevin Costner(Dances With Wolves, Field of Dreams, Tin Cup, JFK). Written by Lawrence Kasdan (The Big Chill, Silverado, The Accidental Tourist, The Empire Strikes Back), and directed by Mick Jackson (L.A. Story, Volcano) The Bodyguard stars Costner as a former Secret Service Agent-turned-bodyguard who is hired to protect Houston's character, a music star, from an unknown stalker. The bodyguard ruffles the singer's feathers and most of her entourage by tightening security more than they feel is necessary. Eventually the bodyguard and the singer start an affair, and she begins to believe his precautions are necessary when the stalker strikes close to home. The film is also available on Blu-ray and DVD. Fontainebleau Miami Beach is celebrating 25 years of the critically-acclaimed film "The Bodyguard" with an invite only listening party/movie screening on Saturday November 4, 2017, as well as announcing special activations throughout the resort in honor of the 25th anniversary. Fans will have the opportunity to RSVP to the invite only listening party/movie screening starting on Friday, October 13 via Whitney Houston's website. Fontainebleau served as a backdrop for much of the film where Houston, as Rachel, performed live on camera two of the film's hit songs in the resort's Fontaine Ballroom. The first, "I Have Nothing," is one of two Oscar nominated songs from the movie and the other, "I Will Always Love You" is one of the best-selling singles of all time.